adopted itself to the new reaction. spending several weeks for a cycle completed. We spotted a donut shop. 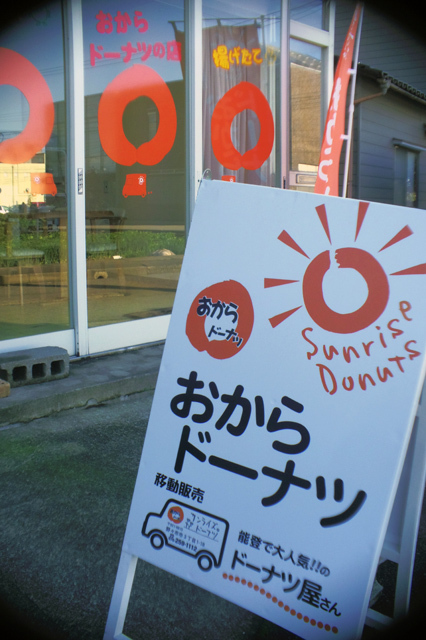 Sunrise Donuts sells tasty donuts made of soya beans. 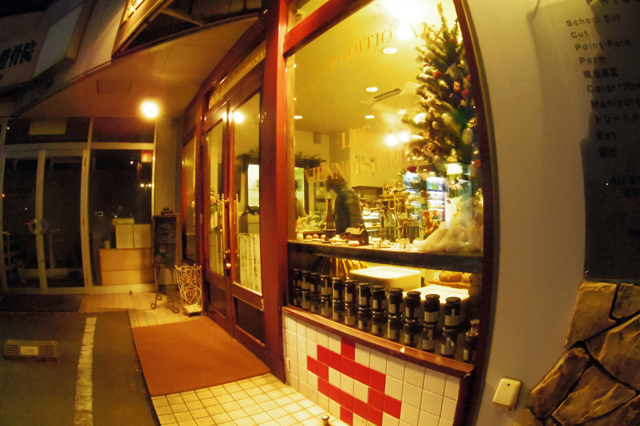 It is one of branches located in Nonoichi. 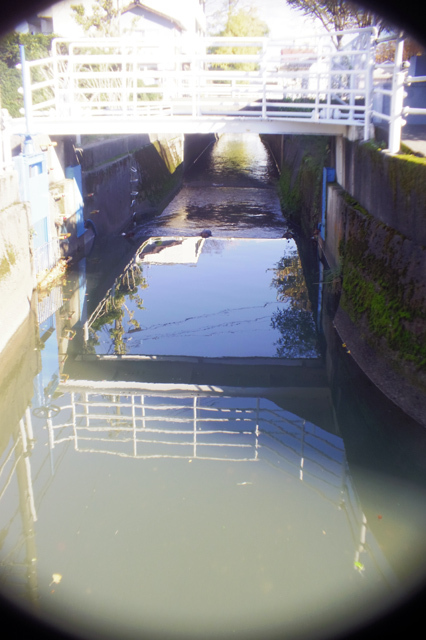 The place is near canal. Highly recommended. We dropped in a city library which was recently opened. The building looks interesting with lots of holes on its surface. These holes are windows, allowing the light to radiate in to the building. Its inside looked like a cheese. 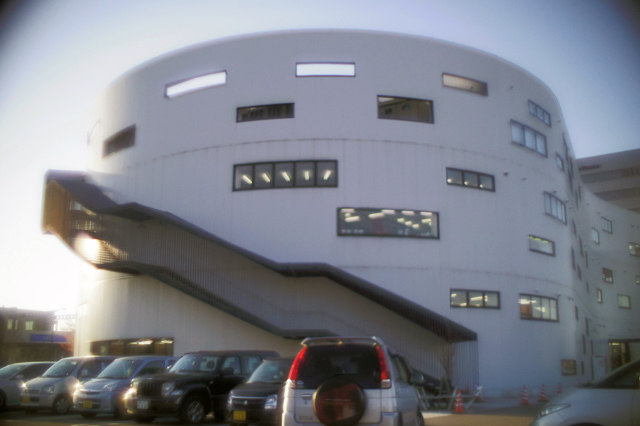 Not bad, interesting, but many schoolchildren studied there bringing his or her own textbook. 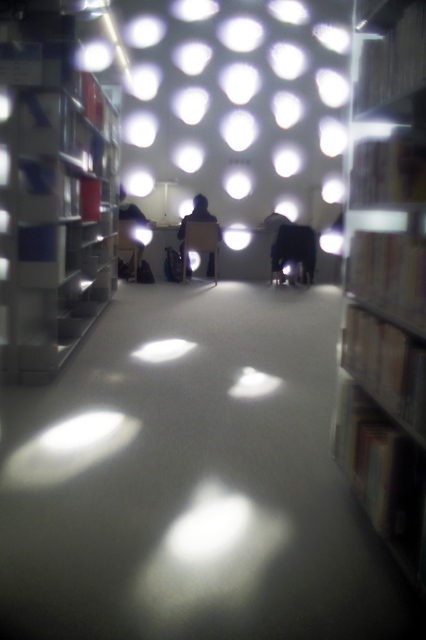 I do not really like the custom that schoolchildren use library as study. But, I understand their needs. After shopping, we visited a bookshop. There were not many interesting books unfortunately. The night falled as early as half past four PM. We bought some breads on our way back home. Peaceful day, it was. 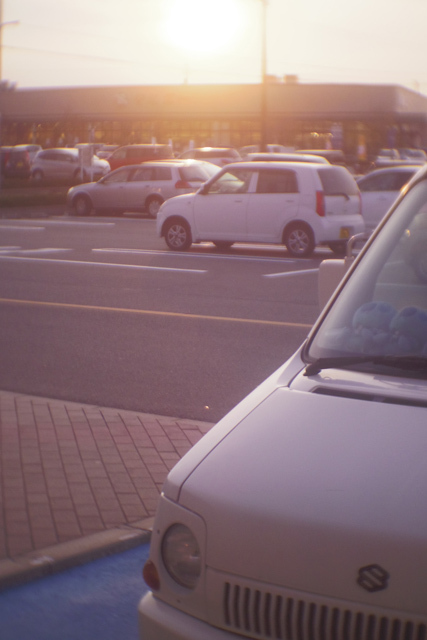 I drove out to sort out several things. 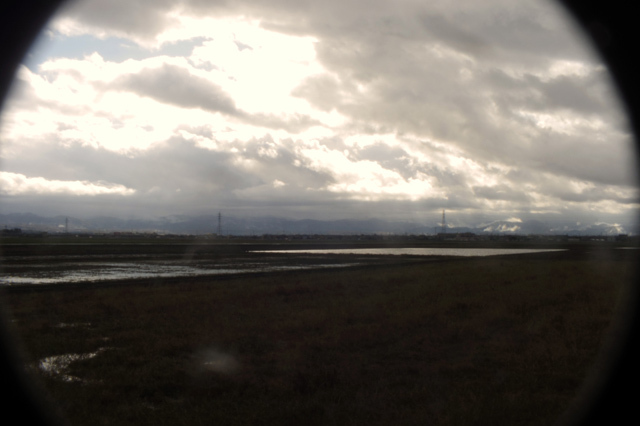 The weather was changing rapidly. 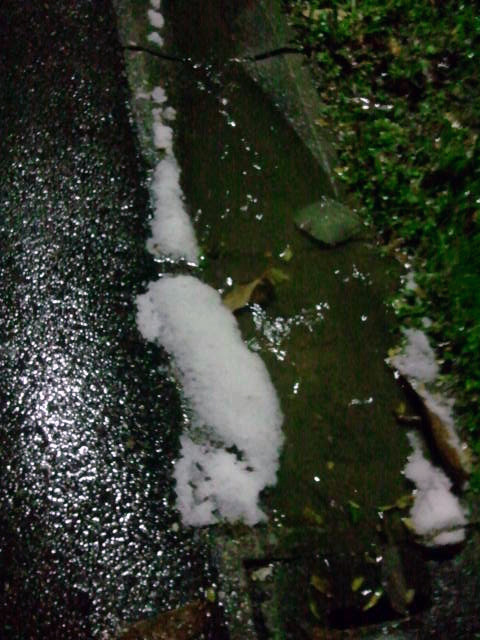 It is fine sometimes, rains, icy rains, windy, cloudy, etc., everything you can expect of bad weather. I dropped in an antique shop on my way back to find a cute pendant light. The shopkeeper, who is also the owner, explained of the item. It came from U.S. about 100 years ago, bought by a rich, local merchant, who built his wealth through trade in Japan Sea. 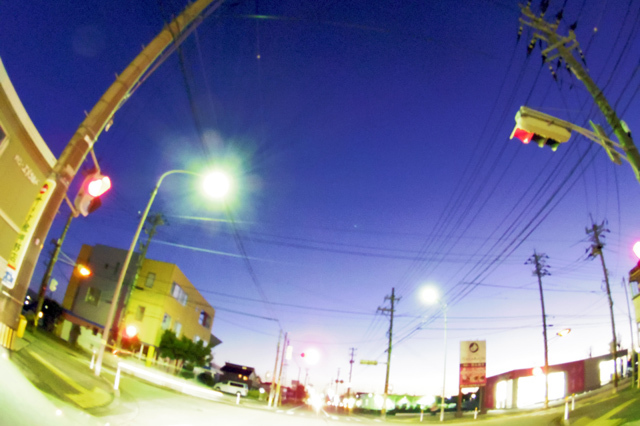 He had a mansion in Mikuni, a small town 70km way from our home, into which he installed the pendant light. 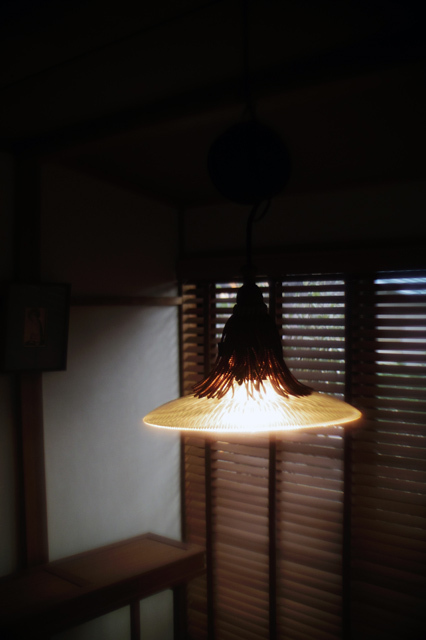 I was fascinated by its arrangement; it is capped with a taft of strings so that it fits with a tatami room. I took it home. The pendant light was made by Holophane, one of the oldest company selling lighting-related products. I could find some other lights similar to the one I’ve got today. The page containing the photo shows an amazing price. No, it does not cost you so much. Thunder continued rumbling from the midnight up to morning. 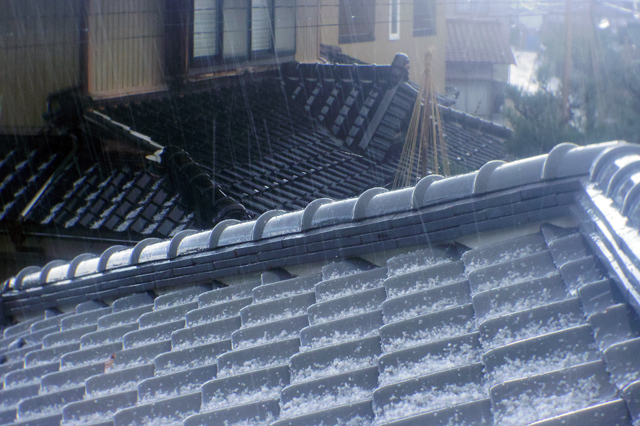 It was a hailstorm. Ices hit the roof, making a noise. The temperature dropped to 4C in the evening and we had the first snow this winter.